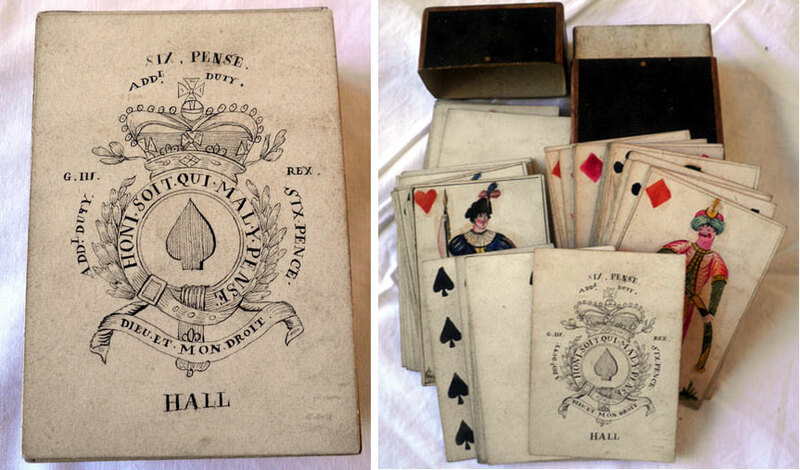 This deck of cards was hand made by French prisoners of war in Porchester Castle, Hampshire, UK. Prisoners were held in the castle over three periods: 1644 to 1652, 1756 to 1760 and 1793 to 1817. 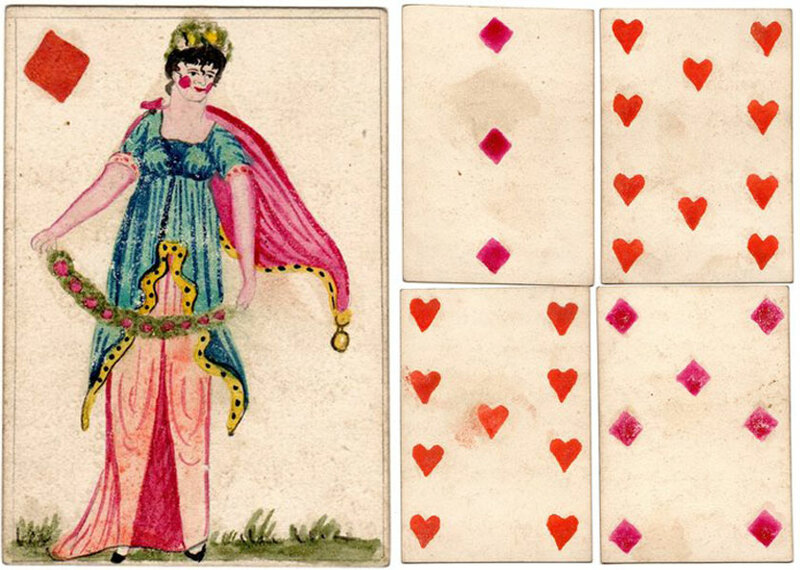 I believe these cards are from the early part of the latter period, circa 1796, as the forged ace of spades is the Hall ace for the years 1789 to 1801. Above: the Queen of Diamonds and 4 numeral cards, all hand-painted and without any indices. 52 cards complete, with original hand-made box in lovely condition, hand-drawn and painted, really well done for a hand-made pack. I can’t discover if the court figures are based on any particular people but it was suggested that the Queens might be Goddesses: Diana as Q of clubs and Flora as Q of diamonds? The forged ace is just fantastic, if only for its faults. 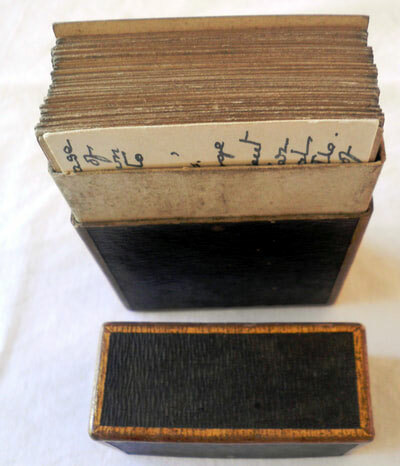 It matches genuine aces for the years 1789 to 1801 The deck is given added provenance by the little business card with a hand-written inscription that came with the box when I found it. Dated 1947 it refers back to the writer’s named great-great grandfather who was actually a keeper at the gaol at the time. I do know of one other deck similar to this, the style suggesting it was perhaps painted by the same hand, but there is no box and I have heard some cards are missing, regardless I believe this deck to be unique.